Now approaching his seventy-ninth year, Antonio Carluccio is as hungry as ever to share his deep affection for traditional Italian dishes. We sat down with the mushroom-mad Italian to discuss the evolution of Italian cooking both in Britain and back home. 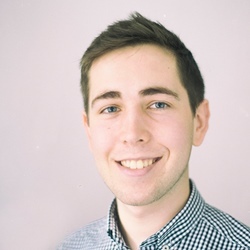 A Cordon Bleu graduate from Tante Marie Culinary Academy, Tom shares his food passions both in the kitchen and by writing about his favourite dishes. Antonio Carluccio has certainly earned his moniker, ‘the godfather of Italian gastronomy’, having written over twenty cookery books, owned and managed the iconic Neal Street Restaurant in Covent Garden, and founded the hugely successful Carluccio’s restaurant chain – Antonio Carluccio has been an integral part of the post-war evolution of Italian food in Britain. When he first arrived in England in 1975, Italian food ‘was quite primitive’, he recalls, ‘there were some restaurants doing bits and pieces but it was not respected. It was more on the French side’. 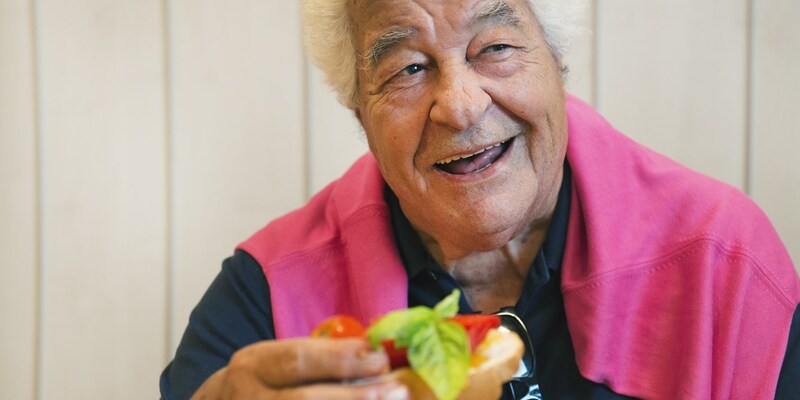 Although his first job was as a wine merchant, importing Italian wines, it wasn’t long before Carluccio entered the culinary world, taking over the Neal Street Restaurant in 1981. He remembers with horror the Italian dishes found in London at the time, including ‘awful’ bolognese made incorrectly with spaghetti (instead of tagliatelle) and with herbs and garlic, both non-traditional ingredients that apparently don’t belong anywhere near a bolognese. Worst of all was the ‘Italian’ take on the ‘80s classic, a prawn cocktail – avocado pear and gamberetti served in a cocktail of mayonnaise and ketchup! Italian food has come on in leaps and bounds since the dark days of crustaceans drowning in mayonnaise. Now regularly voted, along with Indian food, as Britain's favourite cuisine, Carluccio believes there has never been a better time for Italian food in Britain, telling us ‘we are seeing more delicatessens and cafés run by real Italians, cooking the food they want. The best examples I have seen are the regional foods, we are seeing more restaurants focusing on particular regions and styles, just like we do in Italy’. Carluccio calls this a ‘significant change’ and attributes it to the work of talented chefs like Francesco Mazzei, Giorgio Locatelli and of course, his old friend Gennaro Contaldo. 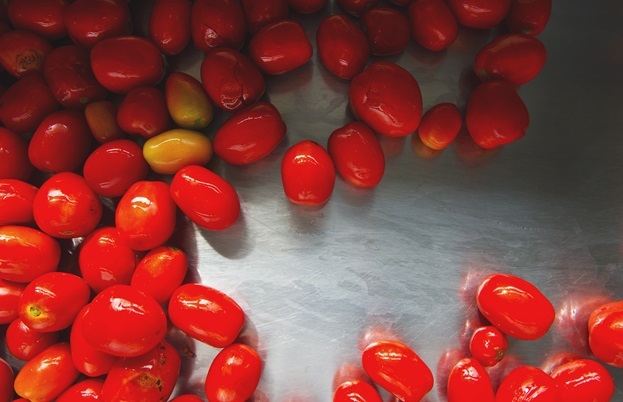 It is, however, not only the work of the chefs; quality Italian produce has become increasingly prevalent in Britain, which as Carluccio jokes, has ‘made the home larder a little more complicated’ but also enables chefs to bring their customers ever more authentic dishes. 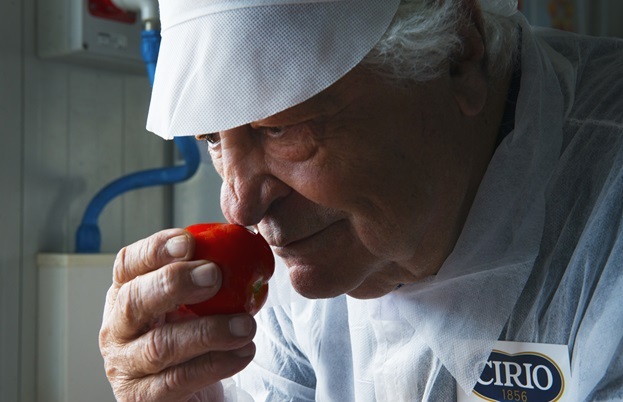 Tomato specialists Cirio, for whom Carluccio is a brand ambassador, now rank the UK as the largest importer of their famous Italian tomatoes – a change they attribute to the British public demanding more and more genuine Italian ingredients as they try to replicate restaurant dishes at home. That’s not to say we should ignore home-grown produce, ‘some of the vegetables are very good’ he concedes, as is much of our fish; but it is British game meat that is ‘the most wonderful thing’, especially grouse and venison, which he says the ‘Italian and French would be clambering over each other for’. Instead, ‘they come to Italy and shoot themselves in the bottom’ (not literally, we hope!). Carluccio has always championed classic, Italian home cooking, telling us ‘Italy has at least three million Michelin stars and they are all the housewives’. He recalls how everything changed with Gualtiero Marchesi. The first Italian to win three Michelin stars and a central figure in the nouvelle cuisine movement, which stressed lighter, more delicate dishes, in contrast to the richness often found in classical cookery. This movement ushered in a new wave of restaurants in Italy, which moved away from the traditional model of family-owned restaurants – a change Carluccio still mourns today: ‘I found this strange because there used to be wonderful Italian restaurants regionally, mostly cooked by families, then arrived the chef. Suddenly the chef on television became somebody important. Everyone was looking at the stars of Michelin and making food to please. Some of them succeeded’. Carluccio is quite happy to stick to the tried and tested, traditional dishes passed down through generations. He warns us to be wary of the many Italian cook books in Britain that often repeat mistakes and misconceptions, calling it a ‘travesty’. A common example, he tells us, is a carbonara sauce – ‘it’s never had cream in it, but because they have revisited the recipe and written their own twist on it, these trends take it away from the traditional recipe’. For Carluccio, the best way to learn how to cook real Italian food is to forage for and cook the ingredients yourself, telling us, ‘the entire process of collecting and preparing is the best way to start. Making and cooking it is so challenging and wonderful that it fulfills our curiosity’. A big thank you to Tom Riby for conducting the interview with Antonio Carluccio in Italy.